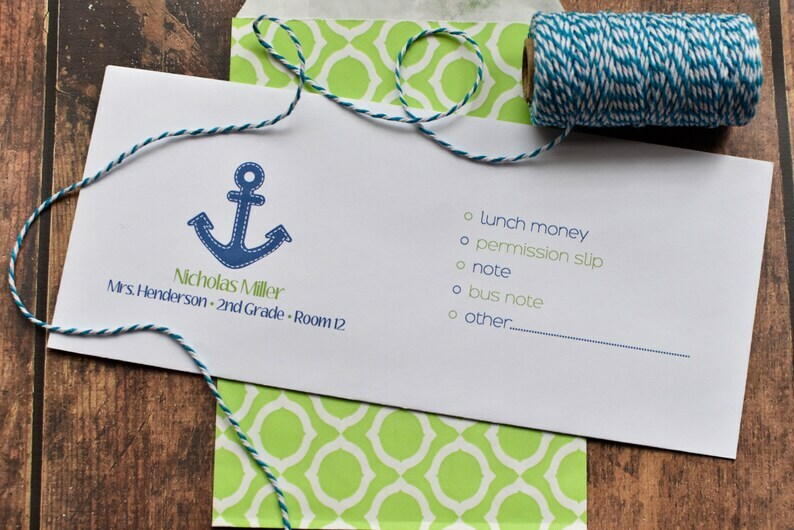 Set of 20 Personalized school envelopes. Perfect for all the money and notes that go in to the teacher! These will be your absolute favorite back to school item you buy! I have customers that come back year after year for these. Very convenient and your teacher will be so impressed by how organized you are! Need a different quantity? Just send me a note and I'll be happy to adjust the listing just for you. Love them! So many compliments from school staff!